Our coop houses three hens, and is built into a 64 square foot fully enclosed run. 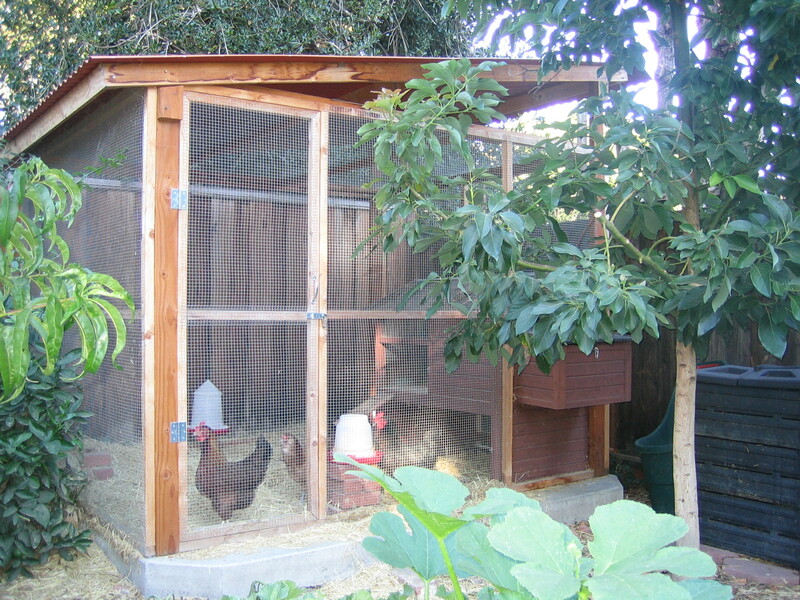 It receives part shade and part sun year-round, so the hens can hang out wherever they are most comfortable. The roof is raised above the mesh top of the run to allow for better air circulation. 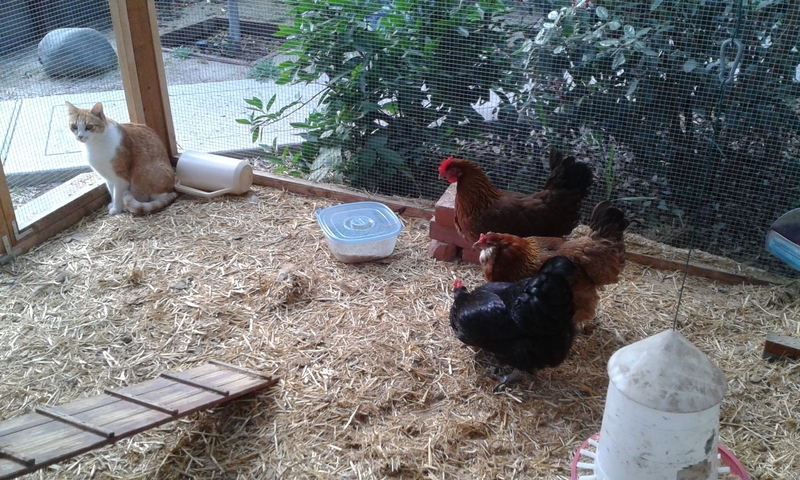 We purchased the coop and nesting box, but designed and built the run ourselves. 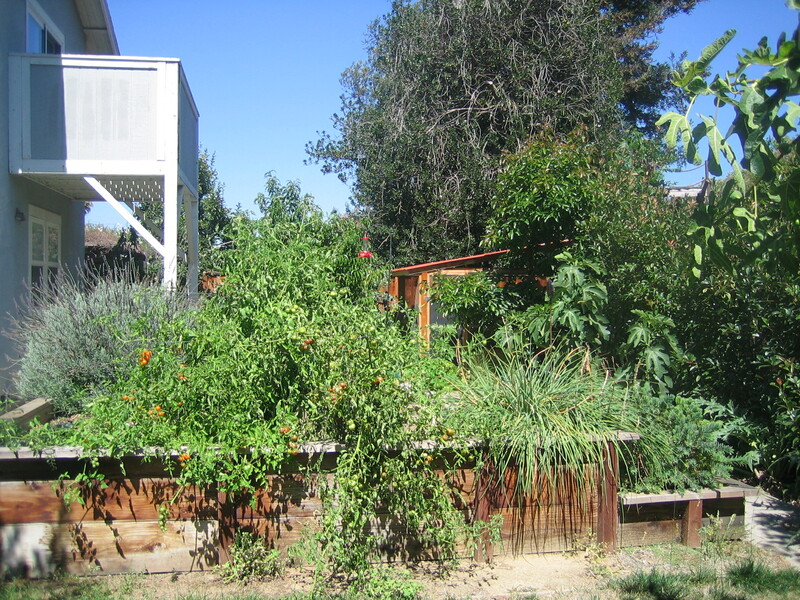 We have about fifty square feet of raised garden beds, which enjoy many visitors from my neighbor’s two beehives. Our two composters nicely handle all of our chicken, garden, and kitchen waste and provide organic fertilizer for the garden. Since the four growing seasons in our beautiful Santa Clara Valley overlap, I have dedicated half of the garden bed space to Spring and Fall vegetables, and the other half to Summer and Winter vegetables. We have already realized our goal of raising our own eggs, with plenty to give away to family and friends. Our next goal is to grow all of the fruit and vegetables our family needs. We were very excited to acquire a second Smith & Hawken Biostack composter, so we can now allow one batch of compost to “cook” completely, while adding new material only to the second composter. Working in the garden is so much more fun with the chickens cheering us on! Offering: Hopefully heirloom tomatoes, maybe even feijoa fruit and homegrown limeade. Maybe even cantelope or cucumbers if they produce that long.